Rogue One is coming out this week! It's finally here. The first live-action standalone theatrical Star Wars release is coming in force and it won't be the last. We already have a Han Solo standalone coming out in 2018 and an unnamed one coming out in 2020. Some say that will be a Boba Fett story but is that the best use of that slot? In this episode, we discuss what we would like to see in the future and what we don't. 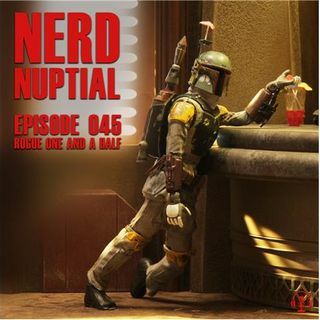 Your Nerd Nuptial ... See More tackles the future of Star Wars and how Kathleen Kennedy no longer returns our calls.